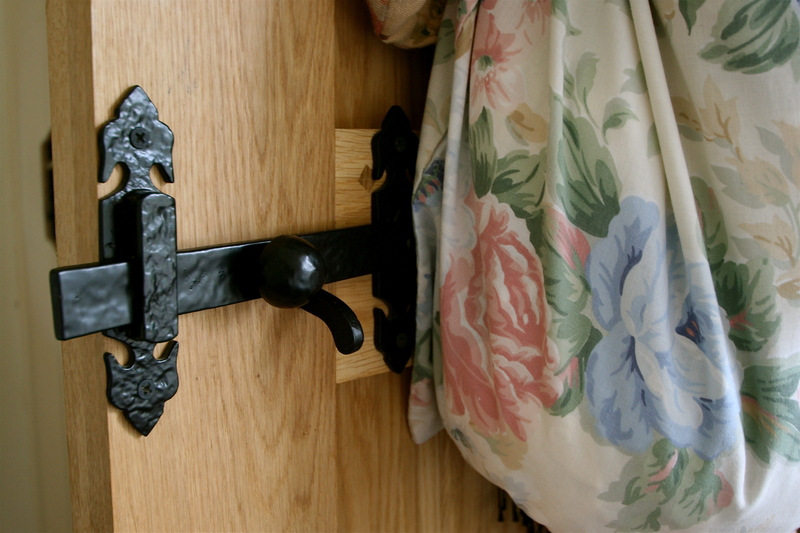 It seems like an age since we finished Rose Cottage and Mrs Rose moved in, but the reality of any refurbishment is that there are often several months whilst all the finishing touches are done and the interior is complete. I think this is a Very Good Thing as houses take a bit of living in before everything can be decided on, the light, the space, how you live all have an impact and the client sometimes doesn’t want to decide on these things until they move in. 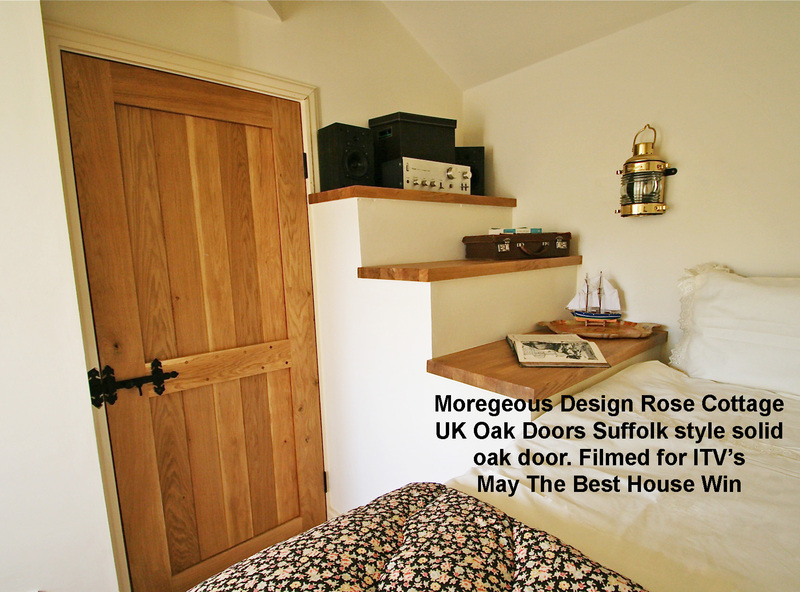 One constant however were the three upstairs doors from UK Oak Doors which arrived in the depths of last winter and gave me a productive evening with a tin of Treatex Hardwax Oil 🙂 I’d shopped around locally and on-line to find the doors which perfectly fitted Mrs Rose’s specification and OK Oak Doors were not only very helpful but the product was spot on: beautiful timber, solid, excellent quality and the right price. 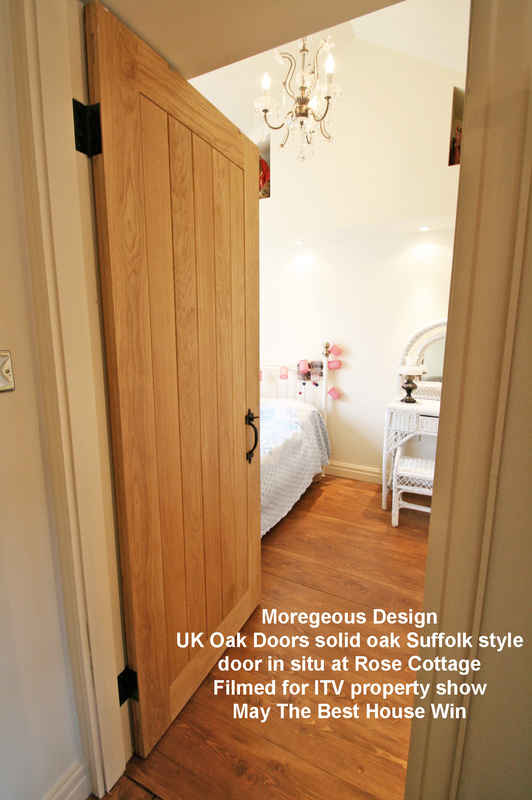 It’s clear that lots of people are searching for quite scrumptious solid oak doors as the initial February blog post had tonnes of hits. 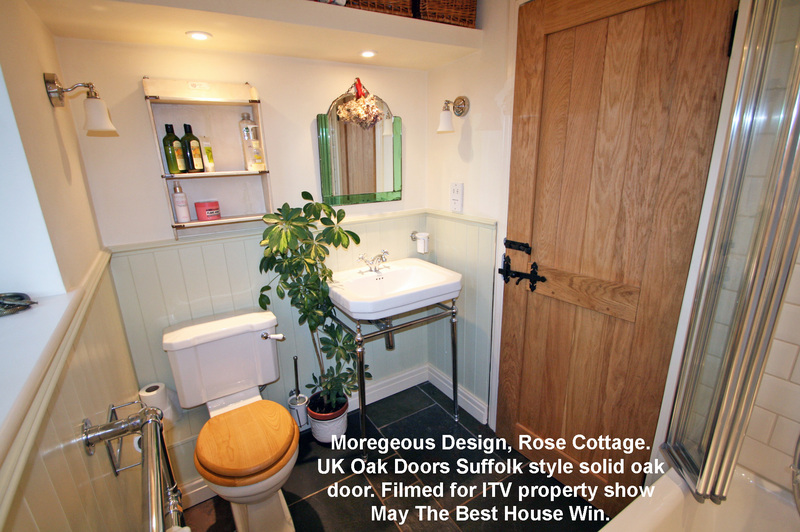 Having filmed Rose looking sparkling for her TV appearance last week I took some snaps and thought it about time to show off the doors hung and in situ, dressed with their cottage style latches and hinges. Gorgeous, aren’t they? 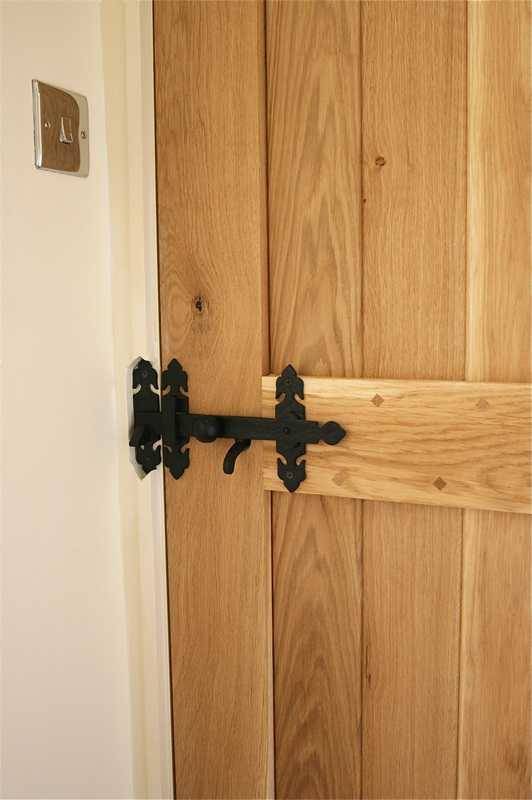 Well worth a click over to UK Oak Doors if these are just what you’re looking for…..
Beautiful solid oak doors – I found some at house clearance auctions, and after caustic dipping and waxing they turned out very nice – but not as nice as the ones pictured here. Might try the oil you used, as the wax needs re applying every so often. Does it last?